so when I received a box full of muesli products from Justine at Carman's Muesli I got excited. 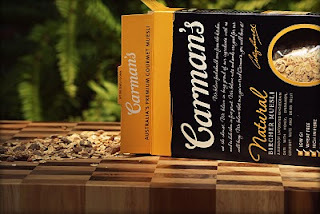 I've had carman's muesli bars before, but never their loose muesli. mixed with greek yoghurt and topped with blueberries and a drizzle of honey. The box suggested adding grated apple and keeping it in a sealed container in the fridge but I was out of apples! As it's untoasted it wasn't crunchy however their was crunch from the tiny pieces of almonds, hazelnuts and pecans as well as sunflower and sesame seeds. The dried fruit is what made it for me, probably the best part of any muesli in my opinion. There were sweet bursts of raisins, sultanas and dried apricots. The muesli was jam packed with flavour - especially what seems to be Carman's signature spice, cinnamon. Now i'm no cinnamon fan but I really loved the warm cinnamon taste. So you know exactly what's going in your stomach! What's your favourite breakfast food? 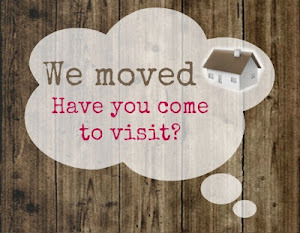 And do you have a recipe involving muesli you think I should use in my upcoming reviews? I think i've had them a longgg time ago on a QANTAS flight. Especially if they have good pastries. Great photography as usual! My fave breakfast is a plate full of fried eggs, hash browns and bacon, aka greasy foods :=P But that only happens on a Sunday morning. So on the other days I stick to eating my instant oatmeal or triple berry and almond muesli and a glass of OJ. 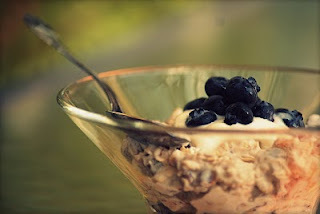 I love oatmeal and muesli - Anything with oats is good in my opinion! Musli is great. I can eat breakfast cereals at any time of day. 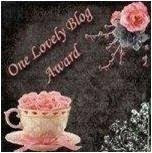 I really like your photos. I like having something warm in the morning- like a bowl of noodles or something =] I've never just had muesli- my friend got me addicted onto muesli bars recently, especially the honey and apricot ones from Aldi! They're so good! I really should try just muesli! Muesli is such a good breakfast choice! Nothing beats the indulgent weekend breakfast/brunch though - that's gotta be my fave! 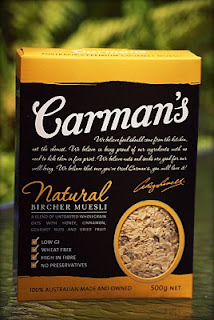 i actually quite like carman's product range - haven't tried their muesli yet but can't say it's note tempting! my fave breakfast would have to a big breakfast but i find i never have time for one! Von- If you like muesli bars, you'll probably like muesli. I think its best with yoghurt, but there's so many different ways you can eat it. Luigi- I'm actually an extreme perfectionist and I'm constantly learning new things. I think that's all photography is about, practice makes perfect.